Citroën Ireland has recruited a new dealership in Gorey, north Co. Wexford; James Tomkins Garage. 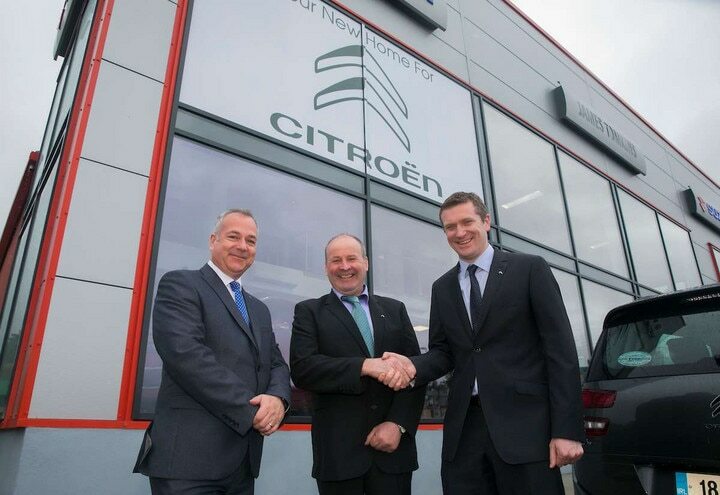 Pat Ryan, Managing Director, Citroën & DS Ireland, visited the showroom this week to arrange signing of the new dealership contract agreement. James Tomkins Garage Ltd. is a family run car dealership established in 1995 with a very experienced team. The dealership prides itself on delivering a personal, friendly and efficient service to all their customers covering both sales and aftersales needs. After qualifying as a mechanic in the summer of 1986, James decided to set up his own business from the garage at the back of his family home and after building up a large customer base he went on to purchase a garage in Gorey Town which has been transformed into a state of the art ten bay car workshop and showroom.